12thC Christians considered the “Way of St. James” one of the most spiritual routes on the planet. Most walk, we bike—from León to Santiago. But doing the astounding, emerald-green Camino (less the robes) is a mission for us too. Not just to reach Santiago (and our magnificent hotels), but to revel in the local manna and culture. Hallelujah. The warmth of the Med in a region we adore. 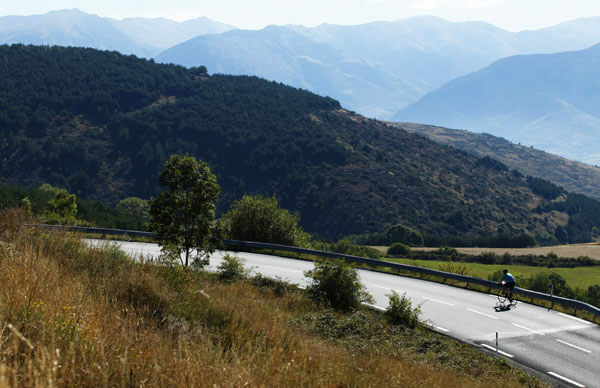 Cycle rolling volcanic hills dwarfed by the Pyrenees, explore villages stamped by time. 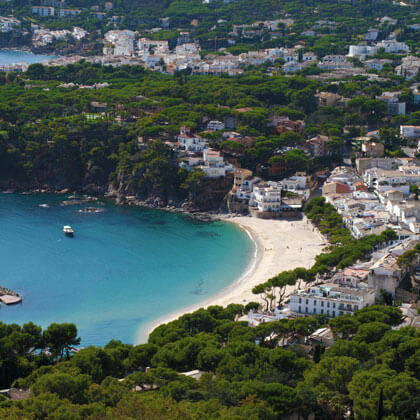 Take sips and dips aboard B&R’s sailboat while cruising the Costa Brava. Also: Spain’s best Dali guide pours drinks before an intimate art tour. Melt like a clock for this sensuous region. 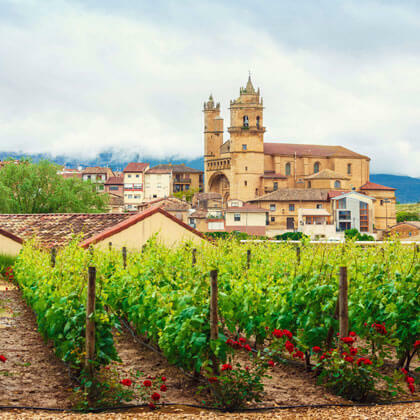 Wines have always been the big draw, but Rioja is an artistic and culinary hub, too. Enter a private gastronomical society, follow in Hemingway’s footsteps, then marvel at gravity-defying architecture. Pamplona and Logroño are only two of the highlights. Rustic or fancy, challenging or leisurely, we’ve got something for everyone. 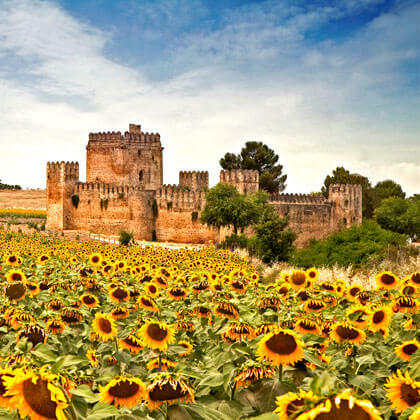 Enjoy a tranquil bike tour of Seville, explore Rhonda's mountain paths and experience Andalucia's unforgettable architecture, food, language and music. 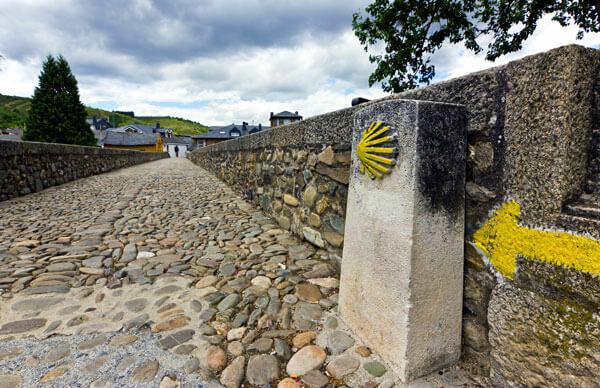 Biking the ancient pilgrimage route in northern Spain is a quintessential way to slow down to see the world. 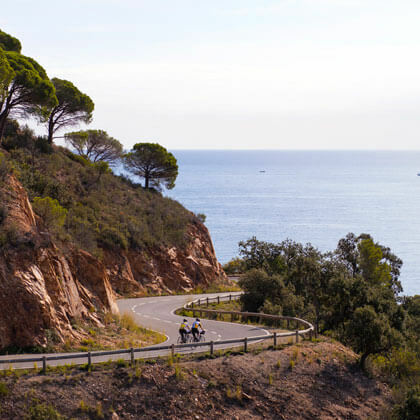 This Catalonia experience offers a rich immersion into the volcanic flats, pastoral fields and medieval villages of this charming region. 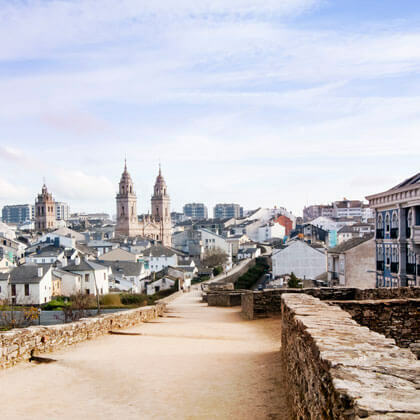 Introduce your family to the land of Picasso, Dalí and Gaudí, wander past the towering Pyrénées and indulge in endless tapas. 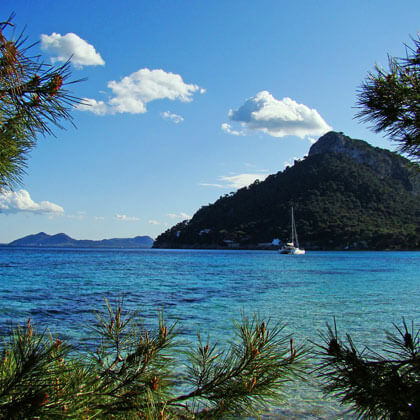 Experience the Balearic Islands’ stunning diversity, out and about by day and then settling into the comforts of a chic farmhouse or lavish hotel by night. Find yourself in Spain's new epicentre for artistic creativity, whimsical architecture and culinary experimentation. There has never been a better time to explore Rioja. 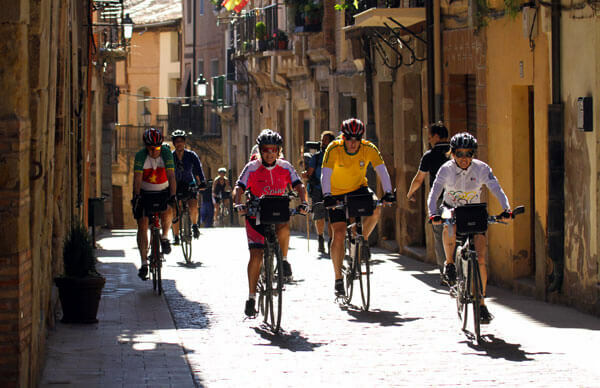 Cycle through the gorgeous countryside of La Rioja and Ribera del Duero, two of Spain's best-known growing regions, on this wine-centric exploration.